It’s always a good idea to have a camera with you here! You just never know what you might see even when you leave the house for a few minutes. 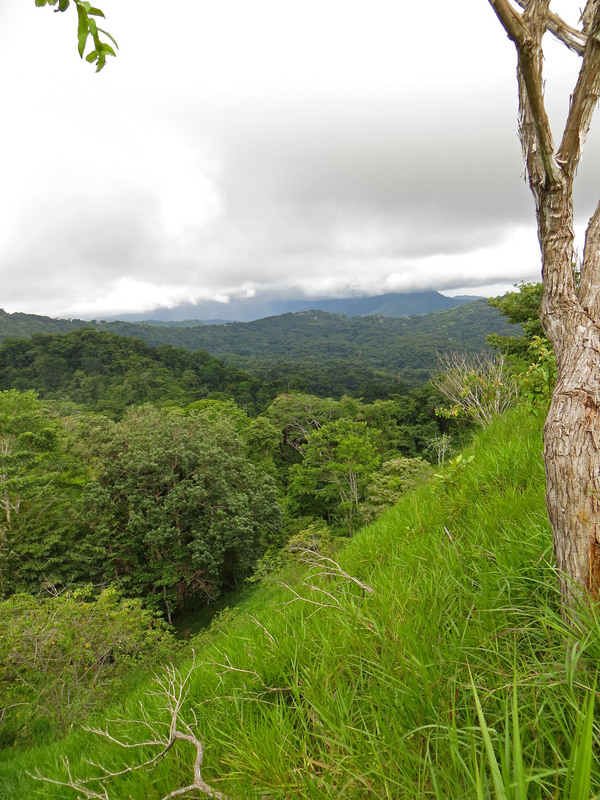 Yesterday late afternoon, we decided to drive up to the property and take a short walk up to our mountain ridge. 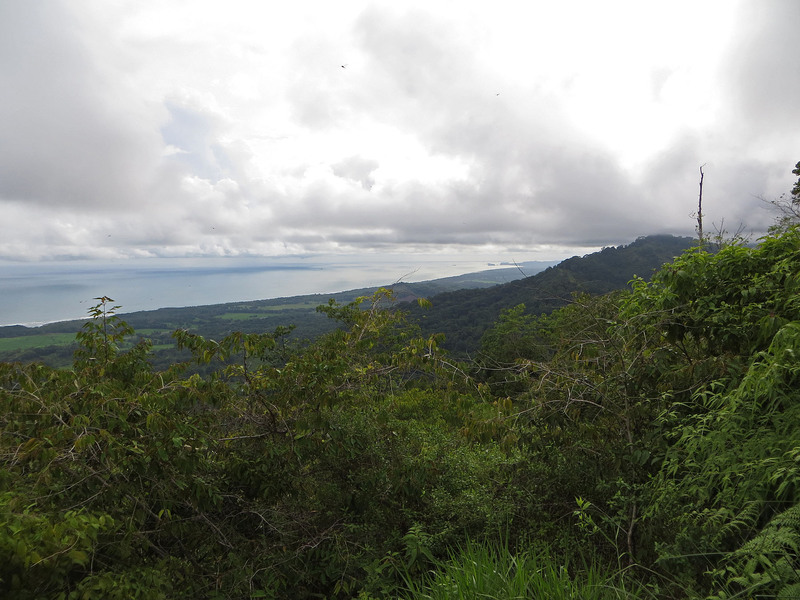 It’s a nice walk…not too strenuous and the views are quite pretty. This time we had our camera with us. There have been a few occasions that we have forgotten it when we have gone for a walk. As we were walking back down the driveway to the truck, we stopped halfway to discuss trimming back a few of the tree branches on one side of the driveway and the huge fern on the other side. It was overcast and I was wearing my dark sunglasses. I saw a dark blob in the tree only six feet away from me. When it moved, I realized that it was a sloth and I turned to Eddie who was looking the other way and said, “Guess what I see!” As I tell him, I hand him the camera to take some photos. I was looking straight into the eyes of a Three-toed Sloth. At first we weren’t sure if the sloth was climbing down or up the tree. We watched it for over 15 minutes and it moved only six inches. 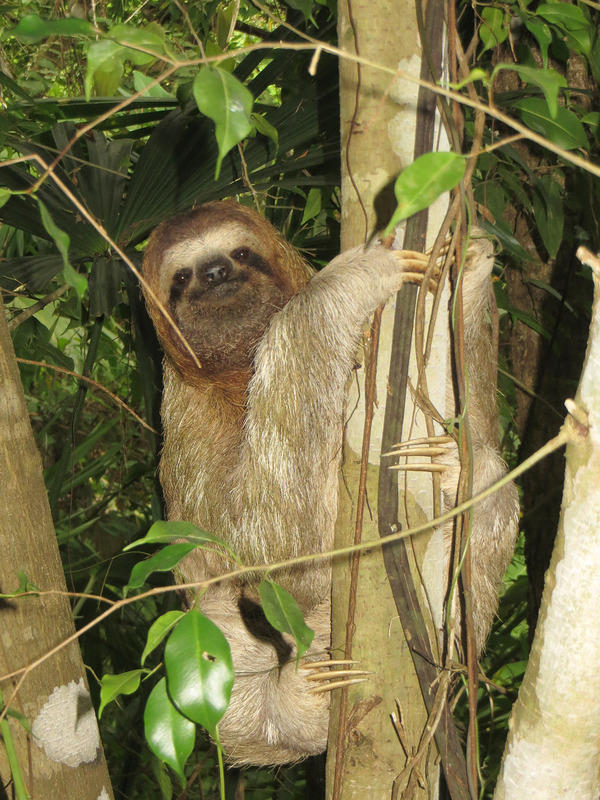 The sloth was climbing back up the tree – very slowly. 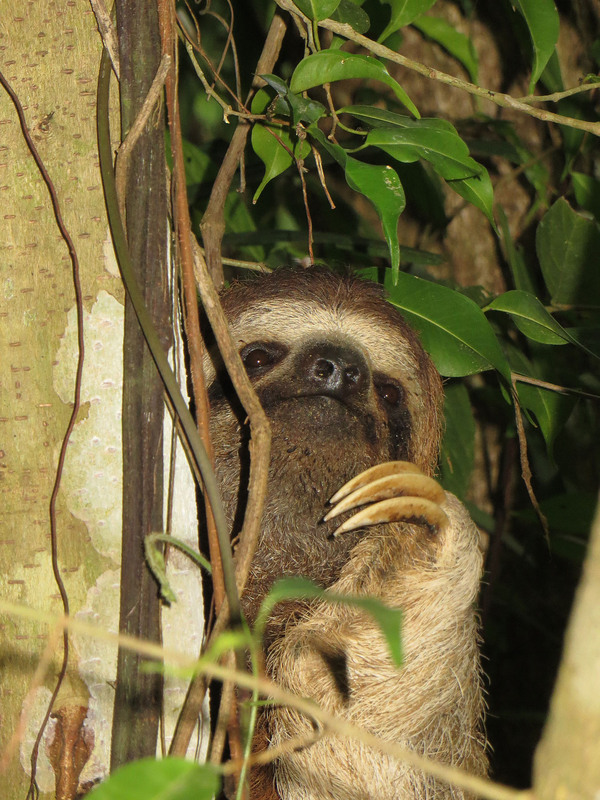 We have been told that sloths come down to the ground from the trees once a week to poop. Perhaps that’s what this sloth had been doing and we got lucky to see it on its way back up to its spot high up in the tree. Ellen, we are loving the pictures and stories even though we don’t always comment! Please, keep them coming! Hi Ellen, Those ARE gorgeous views! I can see why you had wanted to build your house there. So lush and green. The pictures of the sloth are fabulous. Eddie does quite the job on photos!!! you’re pretty good, too, I’d say! We love these posts! Auntie M, you need to come visit and see it for yourself! It really is beautiful here. LOVE this! What a cutie! So glad that you are enjoying our blog. Thank YOU for giving us the inspiration to do one! fascinating – you really caught a super shot! It was pure luck! Our neighbors are envious. I think this sloth maybe faster than amazing Eddie!